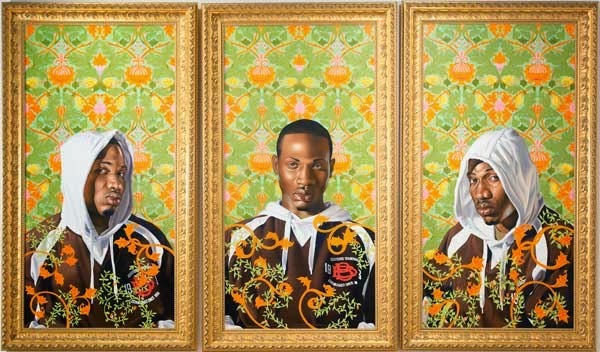 By applying the visual vocabulary and conventions of glorification, wealth, prestige, and history to subject matter drawn from the urban fabric, Wiley makes his subjects and their stylistic references juxtaposed inversions of each other, forcing ambiguity and provocative perplexity to pervade his imagery. 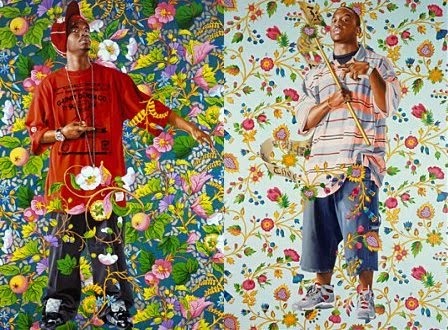 Kehinde Wiley received his MFA from Yale University in 2001. Shortly after, he became an Artist-in-Residence at the Studio Museum in Harlem. Wiley’s work has been the subject of exhibitions worldwide and is in the permanent collections of numerous museums including the Metropolitan Museum of Art, New York; the Studio Museum in Harlem; the Denver Art Museum; the Los Angeles County Museum of Art; The Hammer Museum, Los Angeles; the Walker Art Center, Minneapolis; the High Museum, Atlanta; the Columbus Museum of Art; the Phoenix Art Museum; the Milwaukee Art Museum; the Jewish Museum, New York; and the Brooklyn Museum, New York. Wiley will be the subject of a solo exhibition at the Brooklyn Museum in New York in 2015.